HHE Syndrome – Rare Connect – Loving Danger! If you have landed on this page, you are probably looking for information on an Epilepsy Condition called HHE Syndrome. HHE Syndrome – otherwise known as Hemiconvulsion Hemiplegia Epilepsy Syndrome, is a rare epilepsy condition found in children. 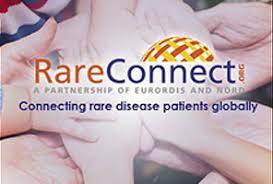 There is not a great deal out there, and when we discovered our son had this condition we set up a Patient Connect page through Rare Connect Eurodis, to help others connect and find out more to help our kids live their lives to the fullest. There is also brain surgery – a radical brain procedure that disconnects the 2 hemispheres. We are about to go down this path with our son…. watch this space. We aren’t the first family to encounter this, and we certainly won’t be the last! I believe there is a brighter future for our kids that live with this condition and by sharing our stories, is a crucial step in spreading awareness and hope for these little champs. There is no cure at the moment for this severe refractory epilepsy. There is only management of the condition itself which requires a high dose of anti-epilepsy medications which present a whole host of side affects – cognitive interruption – fine and gross motor skills impairment, memory issues which affects learning abilities. Hopefully, one day there will be a medication that can help our kids without terrible side affects, until then, we research and share findings to help with this cause. Hi Brian, we have a facebook support group if you would like me to send you the details? I think with HHE syndrome, it affects all kids so differently, there can be similarities, but the brain structure is so unique, so we never really know what’s going on. I know with most kids we have come across in our group with HHE syndrome unfortunately still battle with seizures. Your granddaughter sounds like she has shown those doctors how she is going to do it, and I love that!